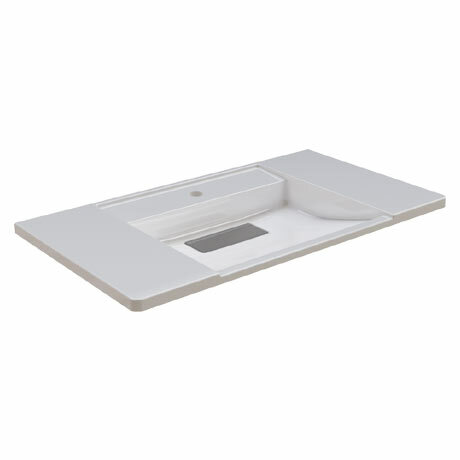 The Exos ANMW0011 is a wall mounted seamless moulded square bowl washbasin with an anti-theft stainless steel waste. Made from MIRANIT, a stable compound consisting of approximately 80% natural minerals such as calcium carbonate and quartz as well as approximately 20% of a high-quality unsaturated polyester resin. The basin is finished with a Gelcoat layer that makes it impact resistant, non-abrasive and easy to clean while the waste is finished with InoxPlus which makes fingerprints almost invisible.